Fill out our simple form and get quotes from local Circus Workshop Suppliers. There’s no better way to engage and impress your guests than an exciting, interactive circus workshop. A unique experience, circus workshops offer a hands-on way to learn new skills and performances. 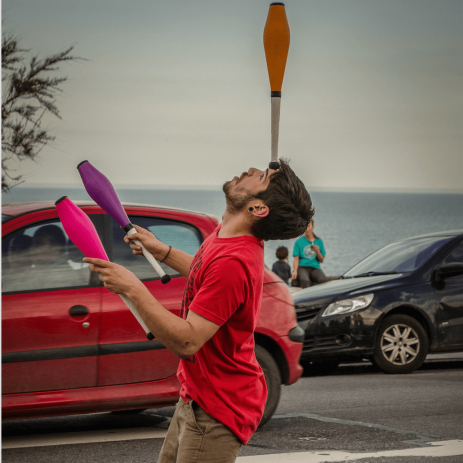 Typical circus workshop activities include juggling, diablo, unicycling, plate spinning, tight rope and stilt walking and many more. Circus workshops are suitable for a range of ages and group sizes, so be sure to include any specific information in your request form. For more information about different packages and to hear from suitable local suppliers, simply fill out our simple request form. Balloon modelling workshops. Suitable for all ages. Professional circus artists teach spinning plates, hula hoops, juggling, diablos, flower sticks based in Sussex. Typically, circus workshops offer two main types of service; drop-in classes and structured classes meaning they are perfect for private parties and birthdays, as well as larger scale events such as festivals, corporate events and street weddings. Many circus workshop suppliers are able to cater for a range of venues, so whether it’s inside or out you can ensure your guests will have the best experience possible. To receive quotes from circus workshop suppliers in your area, submit a request below.